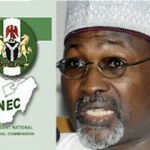 The Chairman of the Independent National Electoral Commission (INEC), Prof. Attahiru Jega, yesterday said the results of the presidential and National Assembly elections would be declared within 48 hours. According to the Nation, Prof. Jega made this statement in Abuja at a press conference also addressed by the Director General of the National Youth Service Commission (NYSC), Brig-Gen. Johnson Olawumi. He stressed that “the commission has put a lot in place to ensure the 48-hour target is met”. Jega also denied the report making the rounds that the Commission’s database had been compromised. The INEC boss, in an apparent reaction to an allegation by the Peoples Democratic Party Presidential Campaign Council that the master key was in possession of the APC, said only the producers of the data- base infrastructure of the INEC have the source code. He further said the company, Act Technologies Limited, was approved by the Federal Executive Committee and was never blacklisted. While also describing the allegation as baseless, Jega said it had the propensity to threaten the credibility of the election. Defending the choice of the firm, Jega said it went through all the expected checks before it was awarded the contract to develop the database. He said: “It is regrettable that it is a pity that people can say all sorts of things and get away freely with them. It is a last- minute attempt to undermine the credibility of the elections”. Jega cleared the air on his disagreement on the issue of people having to wait after casting their votes or go home as advised by the Inspector General of Police, Mr. Suleiman Abba. Jega said his stand was not a sign of disagreement with the police, but that voters should have the choice of waiting or staying after casting their votes. He explained further that the presence of voters during the counting of votes would enhance the credibility of the polls. The INEC Chairman urged corps members drafted for the elections to take the assignment with seriousness, noting that “their security and welfare have been taken care of”. He hailed the role of corps members in enhancing the electoral process. On his part, the DG of the NYSC, urged the corps members to handle the assignment with high integrity. He urged them to stay away from any temptation that may tarnish the image of the scheme, families and nation. The DG assured corps members of their welfare and security.